No two days are the same at Austin Asset – and that’s just how Nikki likes it! She has a keen sense for specifics, so she’s able to make sure our clients are up to speed no matter what the situation is. 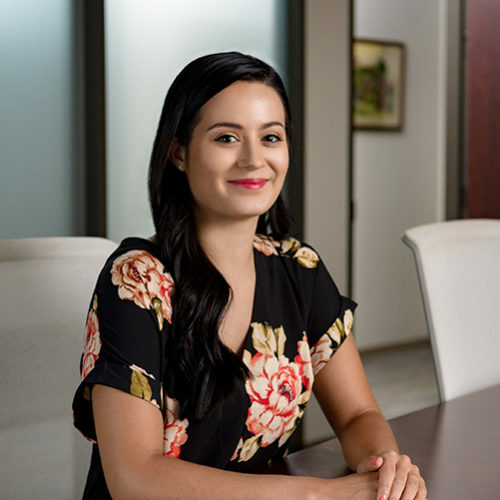 Nikki came to Austin Asset from the banking industry where her fastidiousness served her well and now she loves being able to use that experience in working closely with custodians and the Wealth Planning and Wealth Management teams to deliver efficient and timely results for each client. She enjoys finding new ways to expand her knowledge of the industry and apply that to the work the Client Services department performs. Originally from New York, Nikki and her husband have made Austin home, though she’s always up for a vacation anywhere near the ocean as she loves the sound of the waves and the feel of the sun or a trip back home to visit her family and favorite Italian restaurant, Mama Lisa’s. Captain America because he has a lot of heart and a good moral compass. My least favorite chore is definitely folding clothes. It is time consuming and there is always a missing sock!